Are You Having A Technology Emergency? When looking to cut costs in the workplace, one of the best places to start looking is at your printing costs. While paper documents were once incredibly important for businesses (they still serve a function), no one can deny that they take up a considerable amount of space in the workplace, as well as take up precious assets that could be better spent elsewhere. What’s the best way to minimize the resources you spend on printing? Before getting into how to cut costs, it’s prudent to look at all of the costs that are associated with printing in the workplace. Consider this; your business not only has to acquire printers according to your needs, the paper and ink or toner required to do the printing (including color ink/toner when necessary), and filing cabinets to keep everything you print out stored in a secure location--and this doesn’t even mention the time spent maintaining and managing these devices. We’ll help you determine some solutions you can use to cut down on the amount of waste your business suffers from due to printing costs. Depending on how outdated your printing infrastructure is, your organization could benefit from a hardware refresh. For example, if your business is still using old ink-jet printers, perhaps you could benefit from an upgrade to a laser printer. 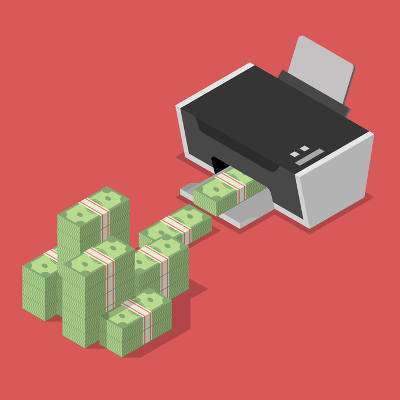 The reason for this is that laser printers are often more efficient with their print jobs, and they can cost you less money over a period of time due to their comparative longevity. While it might seem like cutting out printing entirely is too much, this doesn't mean that you can’t control how your resources are spent. By closely monitoring your printing resources, you can more efficiently store what is needed and cut down on waste. Simply changing settings on your computers or printers could eliminate some of the waste, and storing just the right amount of surplus without risking running out is key to success here. If you find your business suffers from having too many loose papers, or just has too many physical documents to keep track of, you can implement a document management software that can give your organization the means to securely store your documents in a digital environment. This means you don’t have to worry about bulky filing cabinets any longer, and you can easily search for documents you need at any point in time, further cutting down time wasted trying to find something in particular. If you want to cut your organization’s costs of printing, Conceir Technology Group can equip your business with tools to both minimize the need for printing and methods to keep track of just how much waste you suffer from. We can even help you out with a hardware refresh for your printing devices. To learn more, reach out to us at (704) 943-4344. In today’s modern business world, you’d be hard-pressed to find an organization that doesn’t utilize the cloud to at least some extent. Let’s take a dive into how businesses use the cloud to be more sustainable and efficient. Learn more about what Conceir Technology Group can do for your business. Copyright Conceir Technology Group. All Rights Reserved.